Does Hoërskool Kempton Park have the gees? Breakfast with Martin Bester is here to see for themselves! 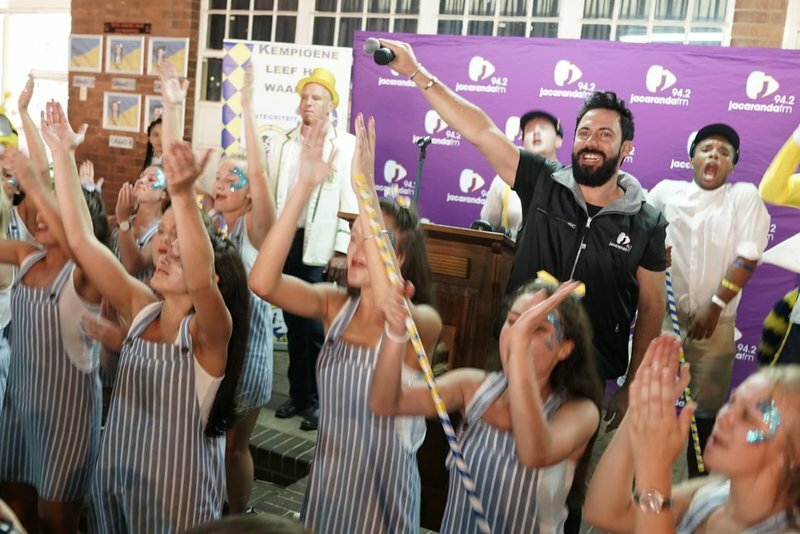 Hoërskool Kempton Park is one of five schools selected to go head to head against each other for the grand prize of a massive party at their school worth a whopping R100 000. The Breakfast with Martin Bester will broadcast live from each of the five schools and Monday morning is the Kempies’ turn! READ: My School Rocks: Show us why and win! Do you think they have the gees to make them the winning school at the end of the week? Do you think they have the winning 'gees'? Martin Bester drew up a ‘My School Rocks’ report card for Hoërskool Kempton Park is. Let’s see if the Johannesburg school succeeds! Hoërskool Kempton Park had a minute of silence for the victims of the Hoërskool Driehoek tragedy. Breakfast with Martin Bester will visit Hoërskool Waterkloof, St Andrew’s School for Girls, Hoërskool Bekker and Hoërskool Linden throughout the week.